Time: 9a-4p; Afternoon session will be training for those who are on the Prayer Teams during Sunday service and for those interested in joining the teams. The morning session is for everyone interested and will be an interactive day of learning about the Heart of God and the different ways to access His heart. 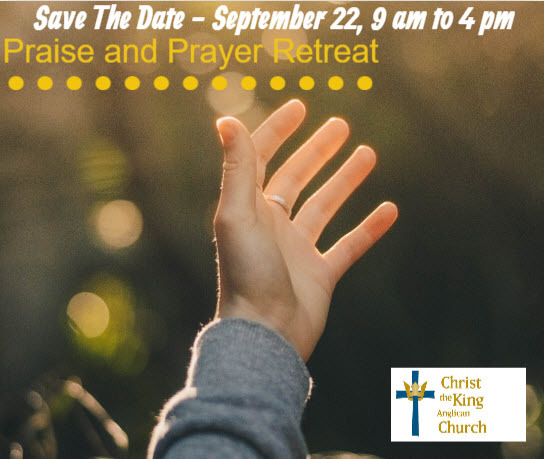 Afternoon session will be a practical discussion/instruction about what the Prayer Teams are and how to pray for people during the Sunday Service.